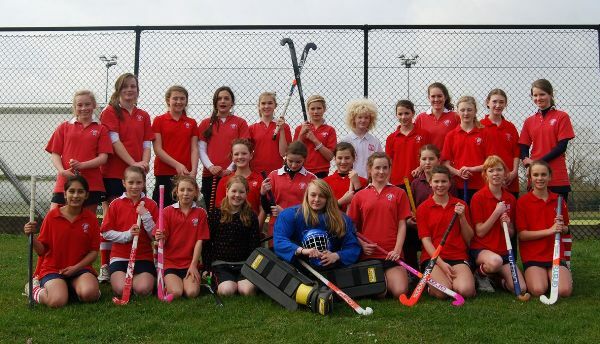 At Newbury & Thatcham Hockey Club we would like all young people to experience hockey and gain a passion for team sports. We have a well established junior section and coach more than 100 young people each week. In May 2017 we became one of the first clubs to achieve the new England Hockey Clubmark Accreditation. We invite young players from seven years old (year three) to join training. At 16 years old, players transfer in to the senior section of the club. Our season starts in September and finishes at Easter. We align ourselves to school term dates and have a break over half term the same time. There is no training or matches during the summer. If you would like to try hockey for the first time or continue an interest you already have, then please come along to a training session. There's no need to tell us in advance, we welcome new members throughout the season. We hope the additional information provided below answers most questions, but please contact us if there's something else you would like to know. We now have an online ordering system for junior kit - please use this link. The club playing colour is red. In the event of a clash, white playing tops are worn. 50% reduction in annual junior subscription for each and every additional young player supported by the same parent / guardian (full annual junior subscription is still payable for first young player). The Junior Committee oversees all aspects of junior development and reports into the main Club Management Committee.